Cutting edge network technologies and optimised business processes offer a wide range of advantages. The Entology and Net:Force Laboratory established by the FH JOANNEUM Information Management degree programme presents a clear and comprehensive picture of these new opportunities. 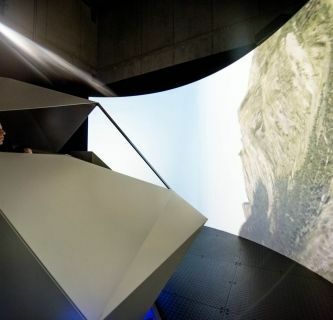 Equipment normally only available at airports is now installed at the research laboratory at FH JOANNEUM Graz: the flight simulator JFS² and the full-motion simulator JFSM. The Health Perception Lab (HPL) is a laboratory for health-relevant sensory research. 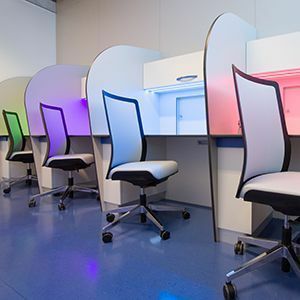 The prime focus is on examining beneficial foodstuffs by means of hedonic sensory analysis using standardised sensory cabins as well as modern digital technology, including 3D face reading and eye tracking. The ChromSpecLab develops analytical methods for in-process optimisation in product development. 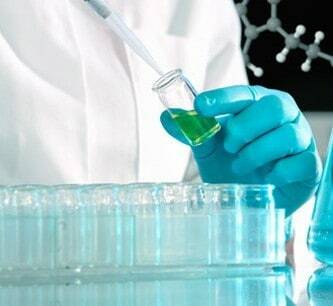 The analytical focus lies on the quantification of analytes and on identifying and quantifying impurities in pharmaceutical products, cosmetics and food. The aim is to identify influencing factors during the formulation and production process and to characterise the packaging materials used. In der globalisierten Elektronikindustrie steigt der Bedarf an hoch effizienten Werkzeugen und Menschen, die diese beherrschen, stetig. 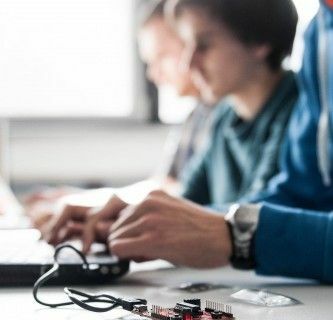 Um diesem Umstand Rechnung zu tragen, hat sich das Institut Electronic Engineering der FH JOANNEUM erfolgreich dafür eingesetzt, zur LabVIEW Academy ernannt zu werden. LabVIEW ist eine Systemdesignsoftware, mit der technische Systeme visualisiert, erstellt und kodiert werden können. 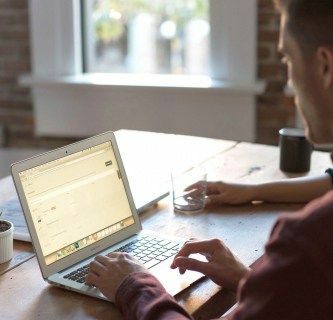 Not just learning, also doing – and in doing so helping domestic companies intensify their efforts to digitalize business processes. 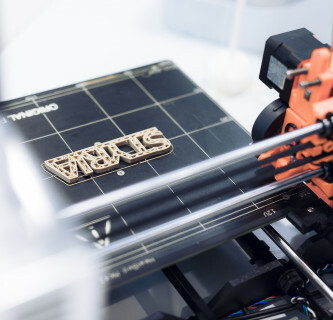 That is the motto behind one of Austria’s largest “Industry 4.0” teaching and research factories, the Smart Production Lab at FH JOANNEUM University of Applied Sciences in Kapfenberg, Austria. 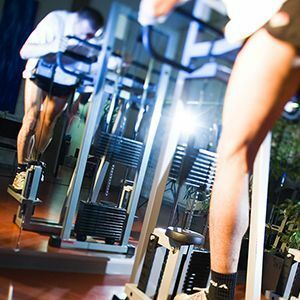 The Sport Science Laboratory (SpoSciLab) does research in applied training sciences, with a primary focus on optimising training schedules and developing exercise therapy programmes. 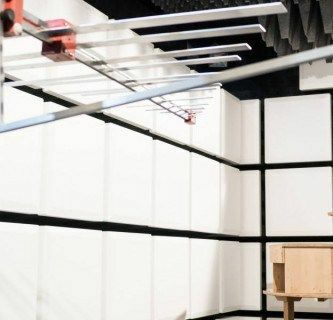 The Institute of Electronic Engineering has recently expanded its shielding anechoic chamber with new features, allowing measurements to be performed in a frequency range from 30 megahertz to 18 gigahertz. 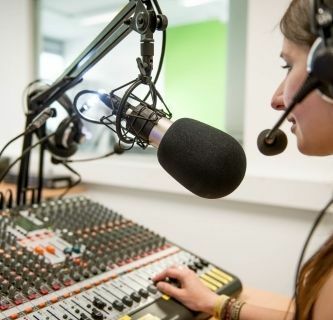 The Streaming Studio features state-of-the-art equipment for the production of audio recordings, web radio, video recordings and web TV. In line with the general approach of all IT programmes at FH JOANNEUM Kapfenberg, the studio uses almost exclusively open source software. 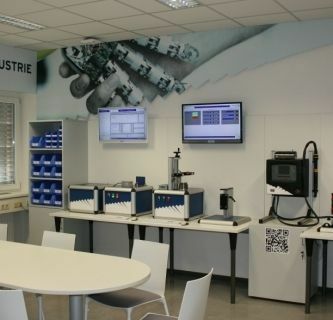 We are accredidated as a Testing Laboratory as of February 2004 in accordance with the international standard EN 17025 by decree of the Minister for Economic Affairs and Labour. For more details see our scope of accreditation. The team at the Web Literacy Lab are working on online communication and its requirements. The research focuses on digital communication processes and digital innovations in journalism, PR and social media, as well as developing prototype content strategies for companies and organisations.